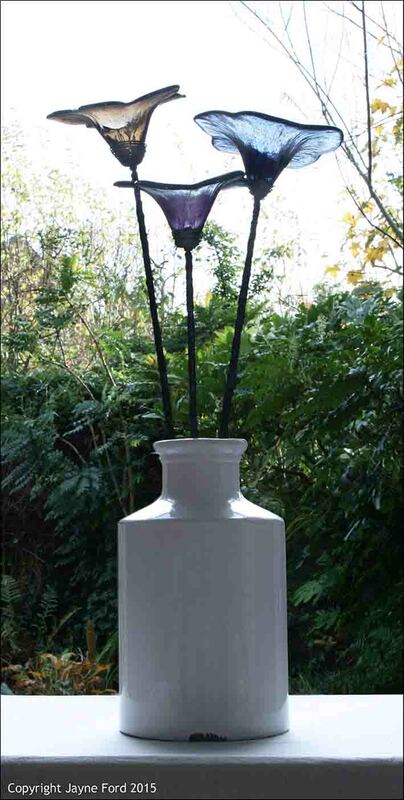 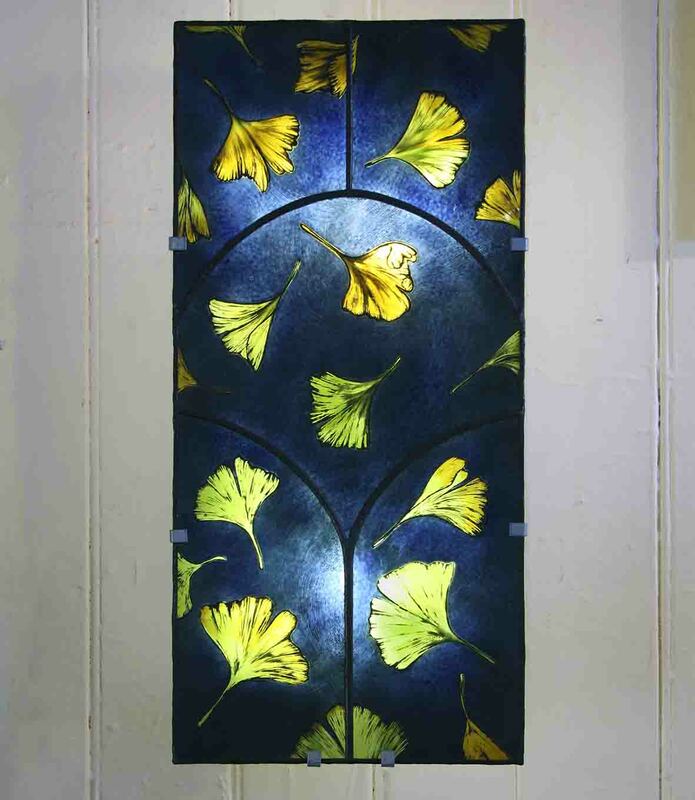 Art glass can be used to make dramatic feature lighting or enhance interior design in more subtle ways. 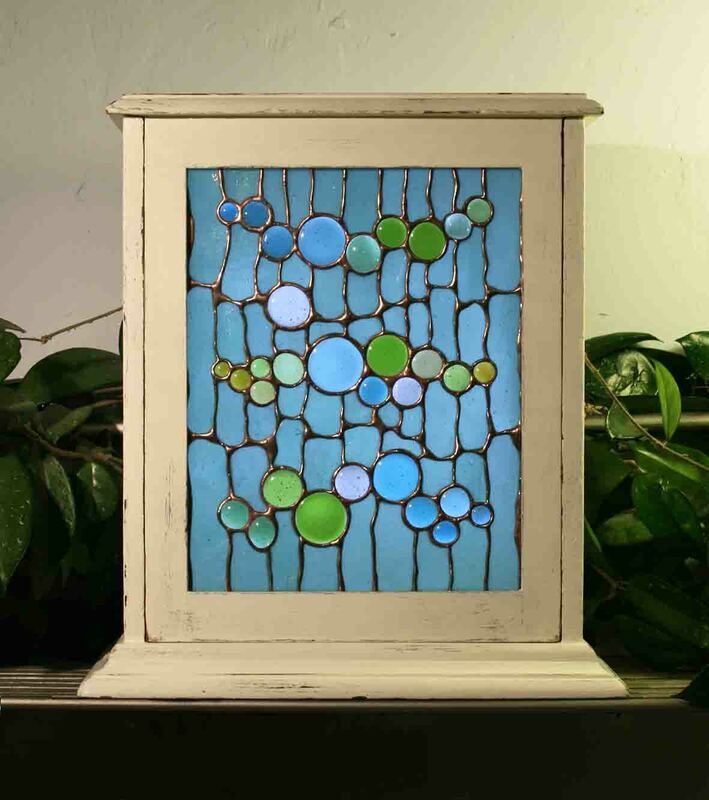 If you like stained glass but have no suitable window to install it, you can display it in back-lit wooden or metal frames, either wall-mounted or free-standing. 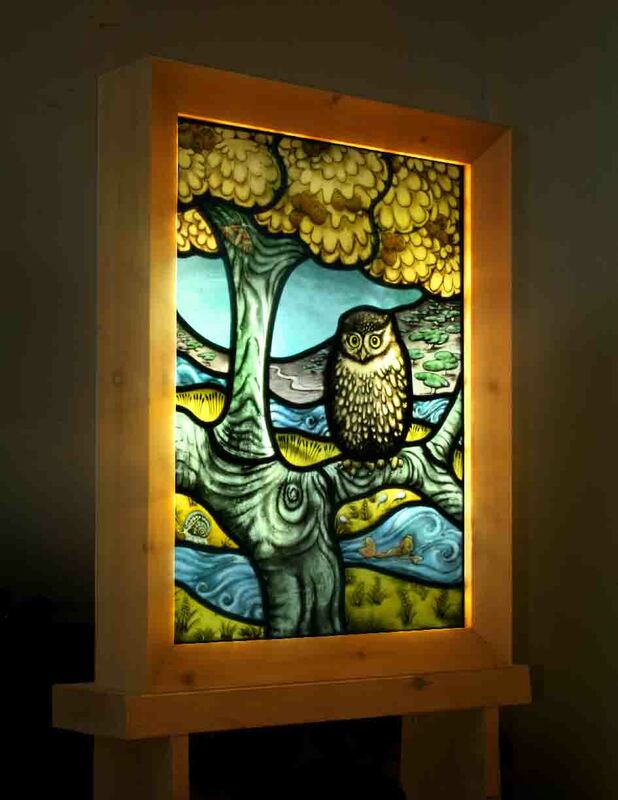 With recent improvements in LED technology, artificially back-lit stained glass is now a practical and low-cost option. 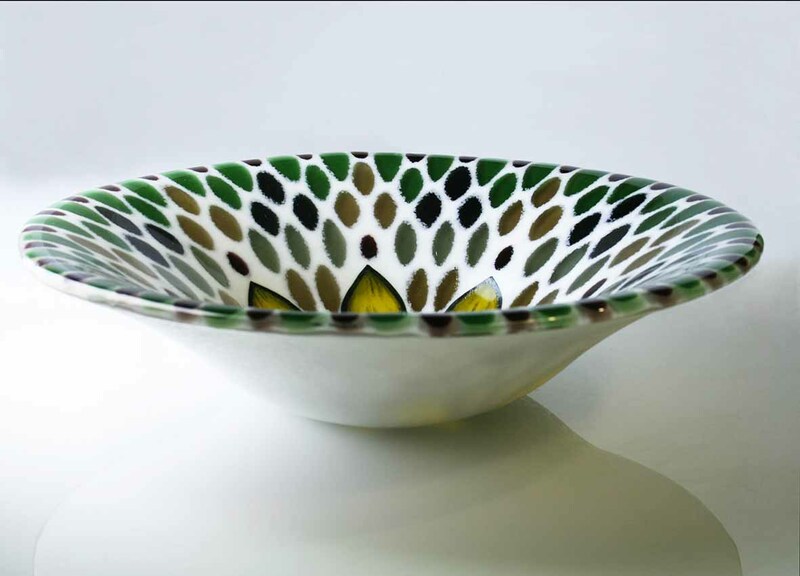 We make individual centre-pieces such as large dishes and tableware collections in a range of styles. 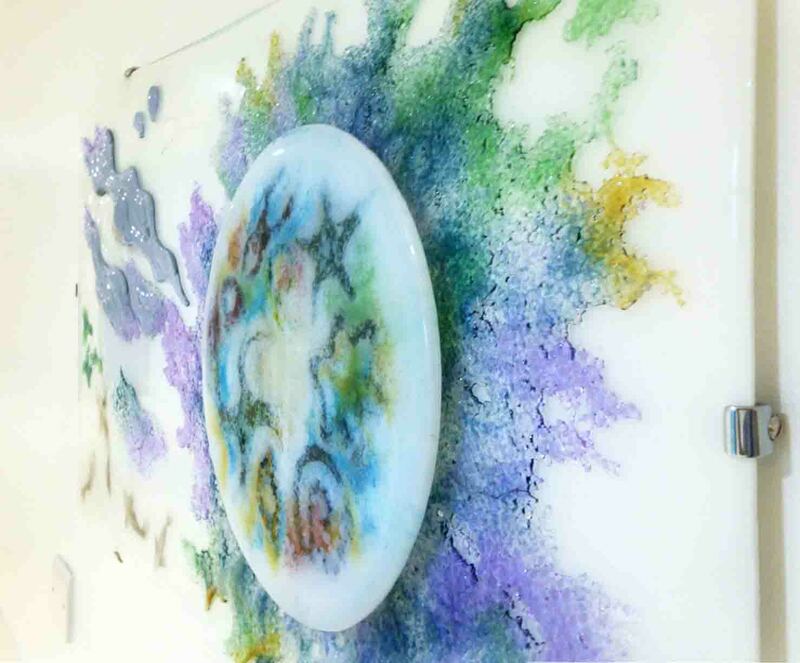 Clear glasses can be used to make delicate, ethereal forms and opal glasses to make ceramic-like pieces incorporating hand-painting or printing. 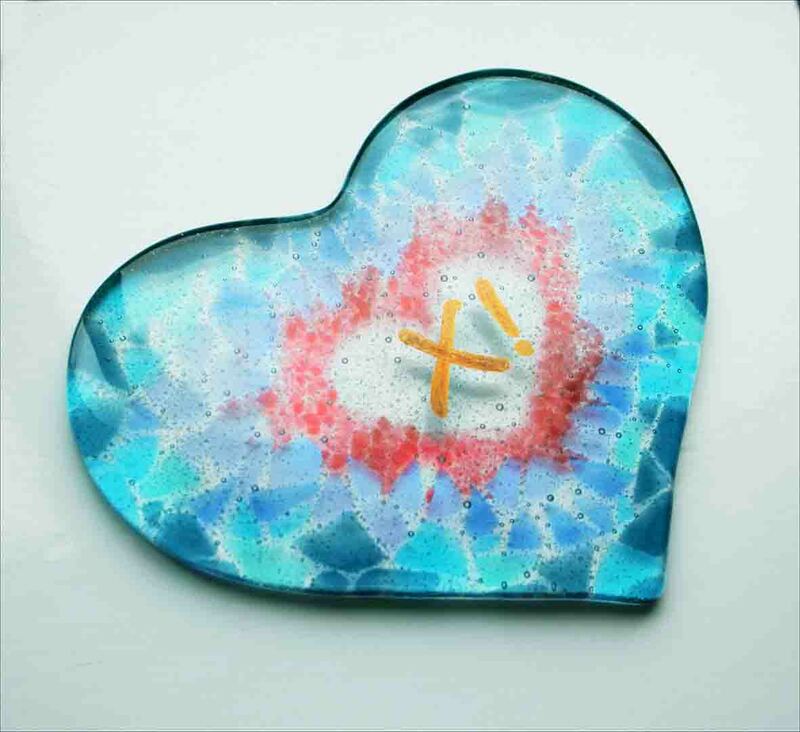 We can personalise items with printing and photographic image transfer techniques to make unique and intriguing gifts. 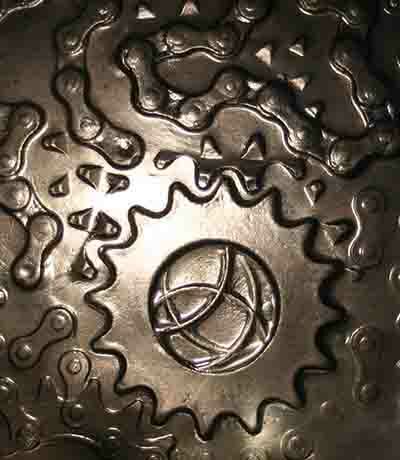 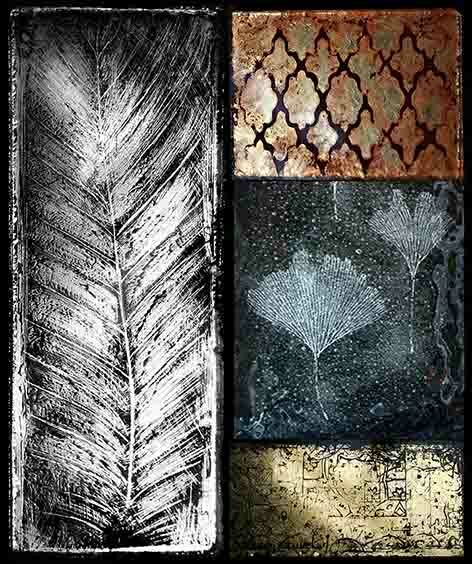 All decorative finishes are kiln-fired or etched for permanence. 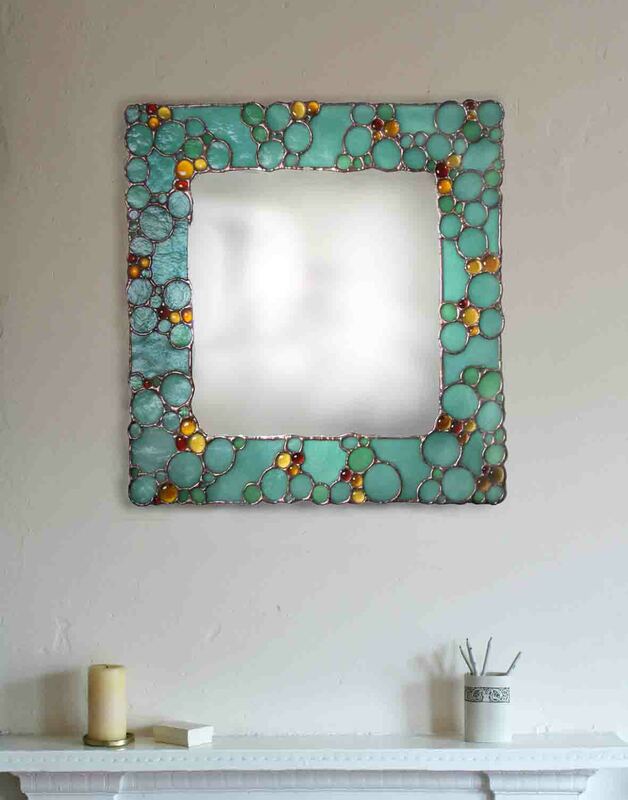 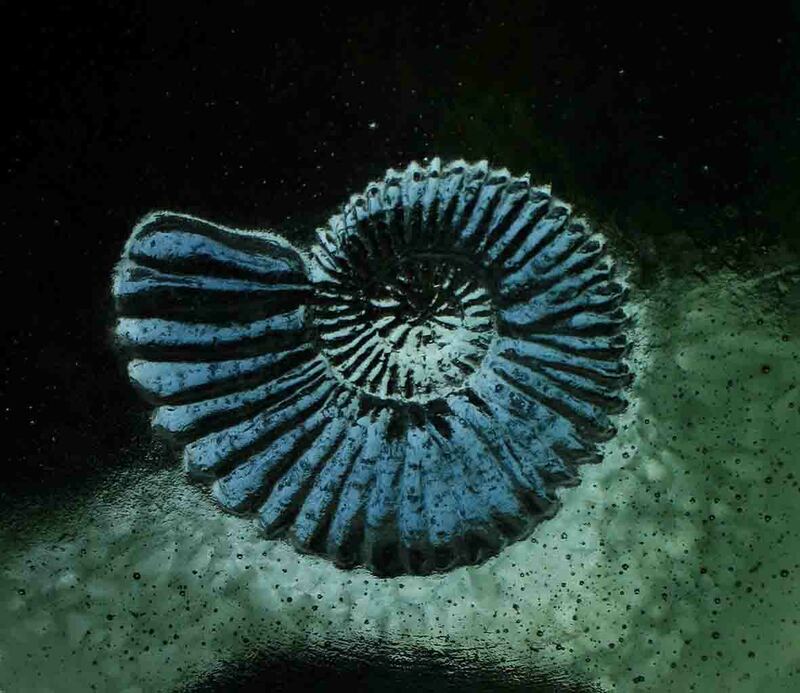 Fused or painted glass can be used to make impressive decorative wall panels, mirrors and splash-backs. 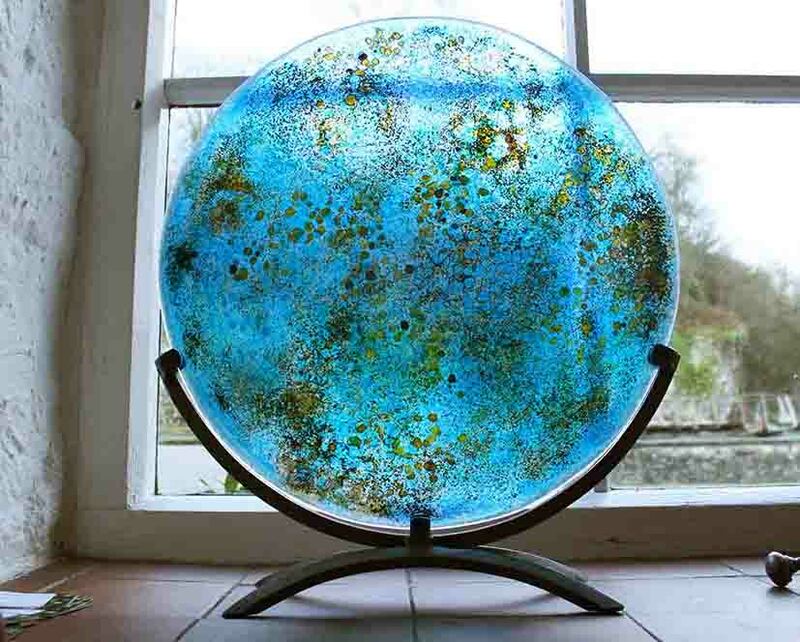 We can print glass or ceramic tiles with UV-stable digital artwork or photographs and any decorative finish is scratch-proof once we have coated it or fired it in the kiln. 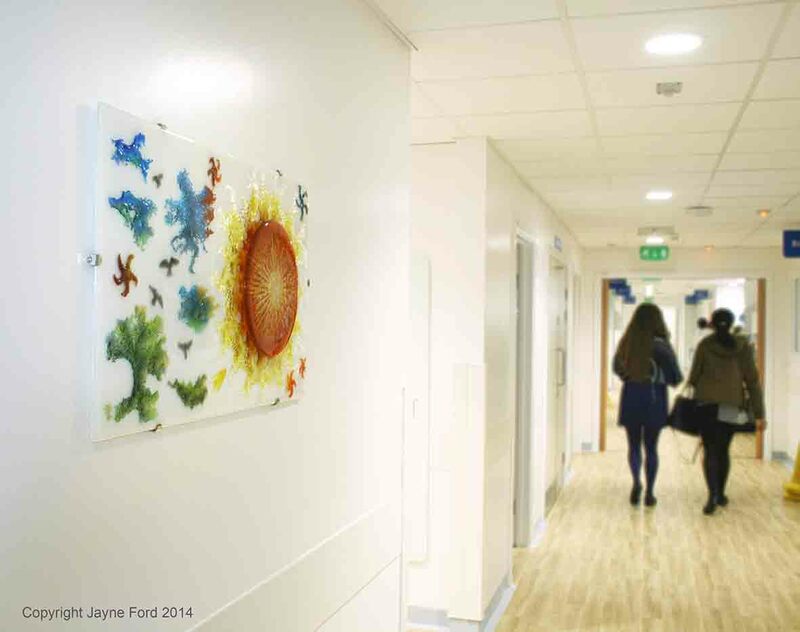 There are several options for safely installing glass artwork, please contact us to discuss. 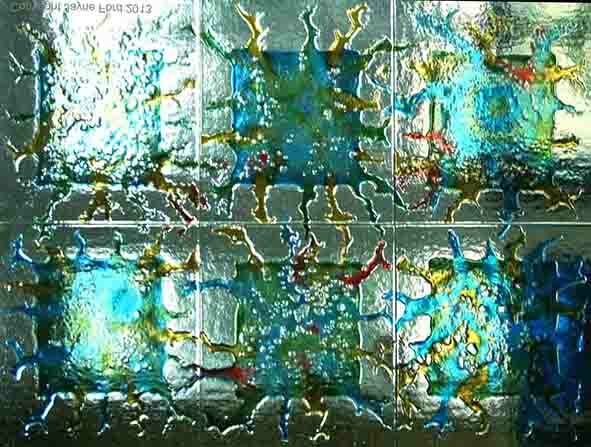 Transparent art-glass makes a great room divider or screen, laminated to safety glass or encapsulated for protection. 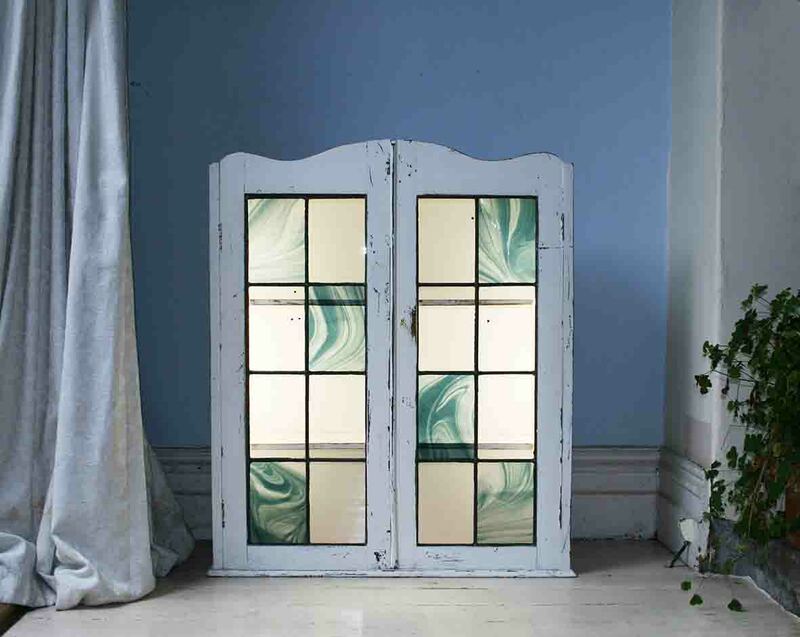 Our verre eglomise-style work is back-gilded with 22 carat gold and back-painted for longevity.